Episode 81: Interview with Darryl Banks! 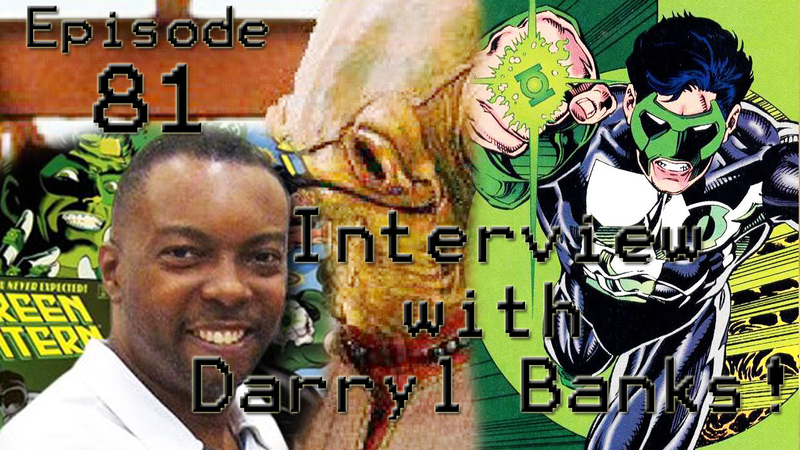 Today we bring you our interview with THE MAN himself, Darryl Banks! Our BossMonkey sits down with Darryl at the 2016 Gem City Comic Con to talk about how Mr. Banks got into drawing comic books, and some of the inspiration behind his most famous creation, the Green Lantern Kyle Rayner (Troy’s favorite Green Lantern)! We must also apologize about the audio quality of this episode. Shortly after the interview started recording, one of the mics on our Tascam went out. We hope that does not take anything away from the enjoyment of this awesome interview!